Lucha Libre AAA: Héroes del Ring (formerly AAA El Videojuego, or AAA The Videogame) is an upcoming lucha libre video game under development by Immersion Software & Graphics for the PlayStation 3, PSP, Xbox 360, Nintendo DS, and Wii. 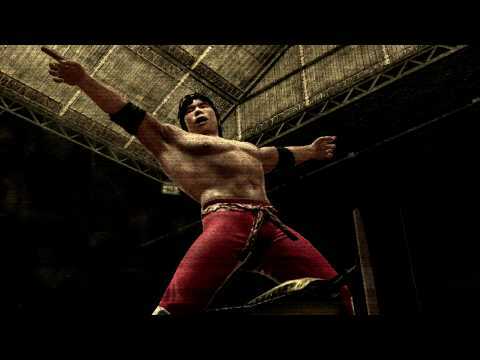 The video game features over 40 wrestlers from the Mexico based Asistencia Asesoría y Administración (AAA) professional wrestling promotion. Sabarasa Studios oversees the development for the Wii, PSP and Nintendo DS versions. Once a band is chosen, the player has to increase his character´s level using an evolving system of score based on his charisma. On his campaign, the users will have the choice to improve their acrobatics and the result will depend on their skills to make a connection with the audience. 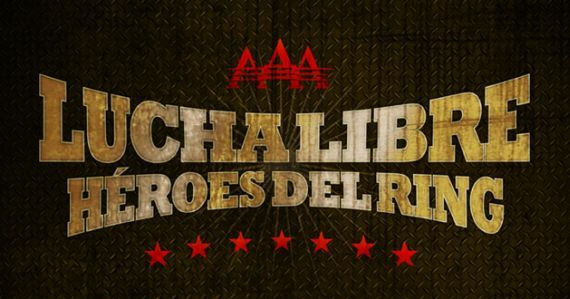 Lucha Libre AAA Heroes of the Ring Review!!!! Check out the Review by Cinderkin. If I could describe Lucha Libre Heroes of the Ring in two words STRAIGHT TRASH would be it. Lucha Libre Heroes of the Ring is a complete load of garbage. If you thought John Cena was bad, Lucha Libre AAA makes him look like a godsend. With its horrible controls, broken gameplay, and announcing that repeats every couple of minutes, and only 30 wrestlers, you have to wonder how this game even hit the shelves. It almost feels as if the game is mocking the sport instead of praising it. Even the great La Parka and Apache couldn’t save this game. Why is this game so bad? Read on below to find out. You’re probably thinking how could a wrestling game have a story? Well it’s simple really. The story revolves around you. A Luchador looking to make a name for himself by starting off as a nobody and making his way up the popularity charts (I’m serious that’s the story). In the beginning you are given a choice between two alliances. The good guys Tecnico or the bad guys Rudo. It’s your classic Face vs Heal scenario that WWE is well known for. At first glance the gameplay for Lucha Libre is reminiscence to the classic WWF and WCW wrestling games on the N64. With your quick and strong grapples, taunts, special finishing moves after building up your meter and so on. Once you actually get your hands on it though you’ll soon find out that it’s not like that at all. In fact the controls for this game are almost completely broken. You quick and strong grab with the trigger buttons, and perform grapple moves with the face buttons. The shoulder buttons are for running and countering. You have your quick punches, your quick kicks, and your strong attacks. Just the kind of thing you expect from a wrestling game. The problem is that the controls feel extremely sluggish and the character movements are very slow. You hear Luchador and you expect high flying fast paced wrestling action, but what we are left with is the slowest most un responsive piece of wrestling garbage to date. The audio work in this game isn’t bad, but it’s not good either. The main issue is that I’ve only heard about 4 songs the entire time I was playing the game. You’ve got one song that loops forever on the menu screens. Then two songs during the actual matches, and then one more song when creating a luchador. Pretty pathetic if you ask me and music isn’t the only problem here. The commentary is abysmal. I swear in the five minutes of my first match I heard the same six lines. The announcers try really hard to be funny and informative at the same time, but what you get is cheesy lines and obvious play by play. Lucha Libre AAA has a few defining features that separate this game from the Smackdown vs Raw series. The first being the Mask Editor, which lets you customize your luchador’s mask in about a hundred different ways. It was nice to see them give so much thought to creating and defining your luchador. Another thing is the popularity system. The way better you wrestle the more popular you get during a match. The more popular you are the more access you have to the high flying, over the top wrestling moves. It’s a pretty neat system that rewards the player for mixing up moves, going for big risks and taunting their opponents. Everything else is what you’ve already seen in other wrestling games. This game flat out looks ugly. It has an arcade like look to it, but is also trying for the realism look. All the arenas and rings look the same basically. I think there were only six or seven crowd models. Just doesn’t work. The wrestler models look crisp during their intros when walking out to the ring, but once the match begins they lose that look. The wrestlers themselves do look like their true life counterparts, which is why it’s unfortunate that the designers didn’t do a better job in the overall visuals. Lucha Libre AAA Heroes of the Ring just doesn’t stack up to the Smackdown vs Raw series. It’s cool to see a game based off the Mexican sport of wrestling, but it’s too bad that it wasn’t done well enough to be worth playing. Being sold at a $60 price point, I am thinking Konami has lost their minds. This game isn’t even worth $20 let alone $60!